Taste test: Pretty standard barbecue taste, enough powder to make you think about barbecue, but not so much as to overpower the potato chip. Nothing sensational about the chip, these are regular-size (not too thin or thick) chips with a little bit of oil on them. 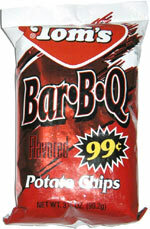 Smell test: These smell nothing like barbecue at all. Kind of a stale potato-type smell. 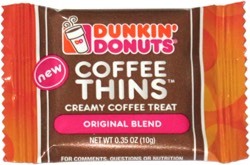 This snack was discovered by Keith in Titusville, Florida. Review published .